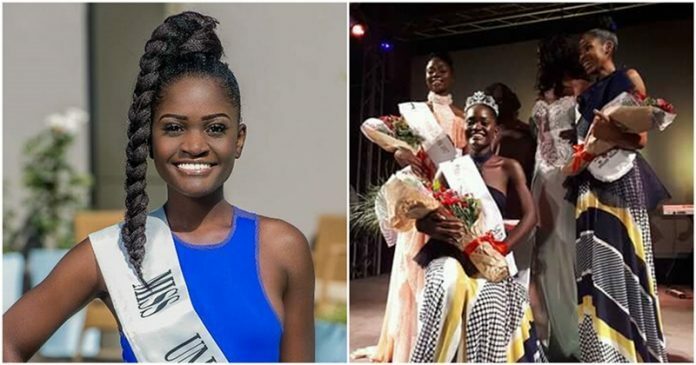 After seven years, Zambia has crowned a new Miss Universe representative. Isabel Chikoti won the Miss Universe Zambia 2017 crown on August 26, during the finals held at Mulungushi Conference Centre. Mercy Mukwiza and Luwi Kawanda placed first and second runners-up, respectively. A total of 17 candidates competed in the finale. Chikoti is no stranger to pageants. She was Miss Africa Ukraine 2013 and Miss Zambia 2016 Top 12 finalist.